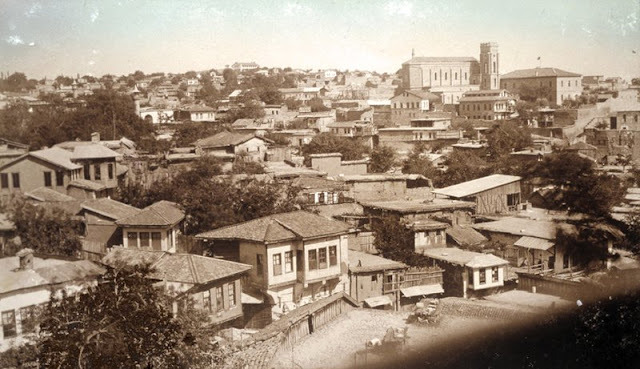 Marash – St. Anthony of Padua Church of the Franciscan Friars (Source: Krikor Kalusdian, Marash or Kermanig and Heroic Zeytun, New York, 1934). 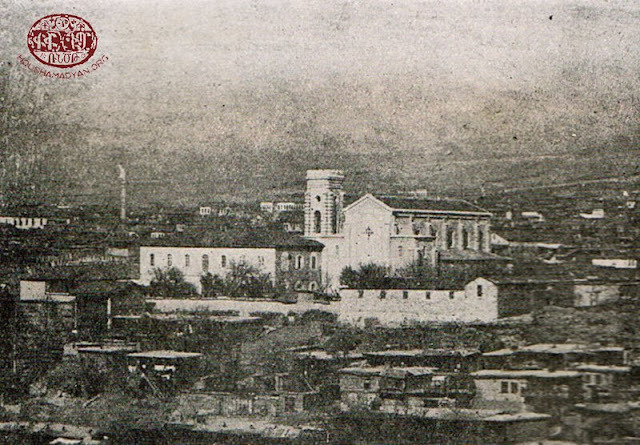 Members of the Franciscan Mission – 1914. 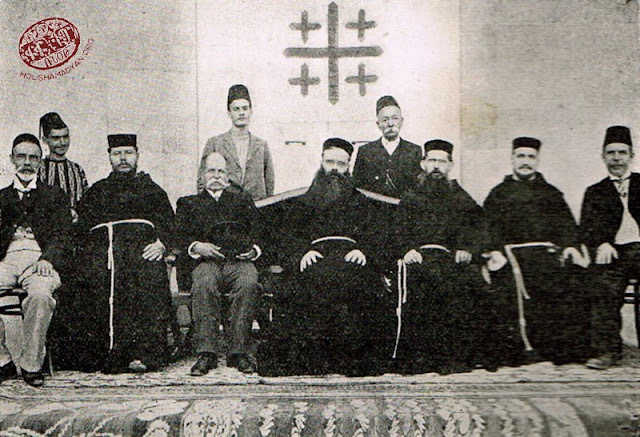 (Seated, from left): Rezkallah Sakkal (teacher), Father Francis de Vi Horis, Habib Edde (French Consul General in Marash), Father Patrice Verkli, Father Materno Muré, Brother Olivier, Nazaret Danayan (teacher). (Standing, 2nd from left): Vartan Matosian (teacher) (Source: Krikor Kalusdian, Marash or Kermanig and Heroic Zeytun, New York, 1934).